All that has to do with programming languages: news, frameworks, software and tutorials. I continued to program the TextureMind Framework and I'm pretty happy with the result. I wish that this framework will give me the chance to increment the production of my software and to save most of the time (because I don't have it). People told me many times to use already existing frameworks to produce my works, and I tried. Most of them are not suitable for what I want to do, or maybe they have issues with the licenses or simply I don't like them. I want to make something new and innovative, and I feel like I'm about to do it. Let me say that the serialization is a master piece. You can program directly in C++ new classes with a very easy pattern, save and load all the data into four formats: raw (*.raw), interchangable binary (*.tmd), human readable xml (*.xml) and json (*.json). This entry was posted in Frameworks, News, Programming, Work in progress on December 9, 2017 by admin. TextureMind framework is a SDK to develop software with different programming languages on different platforms. The framework is composed by a set of classes to facilitate tasks that require the use of multithreading, vectors, lists, maps, multimaps, parsing, serialization, ipc, networking, graphics, computer vision. 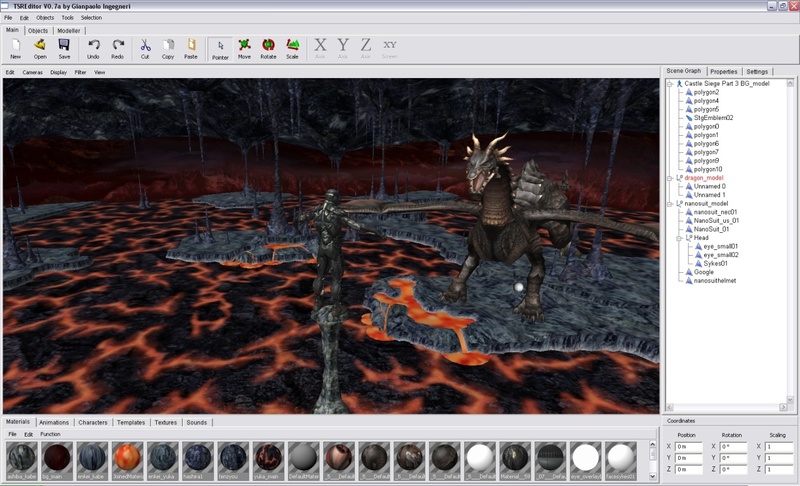 The framework will be also composed by a complete set of applications to create images, animations, GUIs and videogames. I'm creating this framework to facilitate the production of software in general. It has been coded by me from scratch and it can be seen as a collection of all the knowledge that I have in the field of computer programming. The framework is currently closed source and it will be used just for my personal creations. This entry was posted in Frameworks, Programming, Work in progress and tagged Development Kits on June 22, 2017 by admin. It may be obvious to many of you, but I saw teams of amateur developers dreaming the perfect operating system, starting from the idea that the contemporary operating systems (like Unix or Windows) are still far from being perfect. In particular, I remember an italian news group that was frequented by more than one developer that wanted to create his brand new operating system starting from scratch, programming it just by himself, so they gave me the inspiration to write this article, maybe it could be useful to avoid that the same disaster will ever happen again to someone else. Even if you are the superman of computer programming, today you cannot pursue the impossible dream of creating your own operating system without hurting yourself for precise technical reasons. I don't want to discuss here about the difficulties related to the creation of a new file system, virtual memory, inter-process communication, multithreading and so on, because my example is easier and more solid than that. I want to assume that you already have programmed a working kernel for that kind of operating system, a "minimum" set of drivers to make it run on your pc and that you are ready to share it with the entire world. Well, even in these ideal conditions, the main problem is with the companies that currently are using Windows or Linux and that should invest money to drop their operating systems / applications to use your operating system, the same for the hardware vendors that should write the specific drivers, the software houses, curstomers, professionals, video gamers and so on. Today there are so many hardware devices that is almost impossible to achieve the same performance that already existing and most proven operating systems have achievied in so many years of existence. It's not a matter of programming skills, it's a matter of "temporal gap". Even if you are so good to achieve the perfection on a single machine, you cannot be able to obtain the same stability on the wide range of existing personal computers, tablets, smart phones, sbc and all the devices mounting all the existing peripherals, because you won't have the money, credibility, reputation, experience, employees, followers, curtomers to do it. The situation in the past was sligtly different, Windows was created to run mainly on x86 family of processors, but there were other operating systems (like Amiga OS) that were projected to run on 680x0 family of processors, so the idea of operating system was more embedded to the small set of hardware that the vendors had to sell. Today it's totally different. If you want to create a valid operating system, you have to cover all the existing hardware produced at least in the past 20 years, or even if your main target is a single device, you cannot surpass the existing operating systems because they are already optimized to work better on the same device in terms of performance and power consumption. In conclusion, if you are having the crazy idea of creating your own operating system, just forget it because you are wasting your time and the opportunity to produce something really useful. You will never produce even an ounce of what is required today to run a modern application on modern hardware, with the same degree of portability and support in terms of graphics / audio / peripherals, and even if you do it, there are already more stable operating systems that are doing the same thing exactly when you are having the bad idea of doing it. This entry was posted in Programming, Thoughts on January 29, 2017 by admin. These are useful extensions when targeting GL 2.1 hardware. Note that many of the above extensions are also available, if the hardware is still being supported. These represent non-hardware extensions introduced after 2.1, or hardware features not exposed by 2.1's API. Most 2.1 hardware that is still being supported by its maker will provide these, given recent drivers. "ARB" suffixes like other ARB extensions? RESOLVED: Unlike a normal ARB extension, this is a strict subset of functionality already approved in OpenGL 3.0. This extension exists only to support that functionality on older hardware that cannot implement a full OpenGL 3.0 driver. Since there are no possible behavior changes between the ARB extension and core features, source code compatibility is improved by not using suffixes on the extension." - GL_ARB_map_buffer_range is a core extension or not? This entry was posted in Knowledge, OpenGL, Programming on October 30, 2016 by admin. In the previous article I emphasized the importance of not having a third-party loading library like glew because OpenGL is too complex and unpredictible. For example, if you want to implement a videogame with an average graphics and a large audience of users, probably OpenGL 2.1 is enough. At this point, you may need to load only that part of the library and make the right check of the extensions or just use the functions that have been promoted to the core of the current version. Remember that an extension is not guaranteed to be present on that version of OpenGL if it's not a core feature and this kind of extensions has been introduced after 3.0 to maintain the forward compatibility. For instance, it's useful to check the extension GL_ARB_vertex_buffer_object only on OpenGL 1.4 (in that case you may want to use glBindBufferARB instead of glBindBuffer) but not on superior versions because it has been promoted to the core from the version 1.5 onward. The same applies to other versions of the core and extensions. If you target OpenGL 2.1, you have to be sure that the extensions tipically used by 2.1 applications have not been promoted to the latest OpenGL 4.5 version and to check the extenions on previous versions of the library, making sure to use the appropriate vendor prefix, like ARB. Even if with glew you can make this kind of check before using the loaded functions, I don't recommend it because glewInit() is going to load also parts that you don't want to use and you run the risk to understimate the importance of checking the capabilities. This entry was posted in Graphics, OpenGL, Programming, Tutorials on October 29, 2016 by admin. - How much OpenGL versions and extensions I have to support? From this choice you can define the graphics aspect of the application and how to scale it to support a large range of display drivers, including the physical hardware and the driver supported by the virtual machines. For example, VirtualBox with guest addictions uses chromium 1.9 that comes with OpenGL 2.1 and GLSL 1.20, so your application won't start if you programmed it using OpenGL 4.5, or even worse you won't start also on graphics cards that support maximum the version 4.4 (that is very recent). For this reason, it's necessary to have a full awareness of the OpenGL scalability principles that must be applied to start on most of the available graphics cards, reducing or improving the graphics quality on the base of the available version that you decided to target. With this level of awareness, you will realize that you don't need any kind of loading library to use OpenGL, but only a good check of the available features, that you can program by yourself. Moreover, libraries like glew are the worst because they are implemented to replace the official gl.h and glext.h header files with a custom version anchored to the OpenGL version supported by that particular glew version. This entry was posted in Graphics, OpenGL, Programming, Thoughts on October 26, 2016 by admin. - What is the matrix row-column order and how the product is implemented on OpenGL? This entry was posted in Graphics, Knowledge, OpenGL, Programming on October 25, 2016 by admin. Do you want to work for NICE/Amazon? We are hiring! In addition to the skills listed in the announcements, the candidate must make a moderate use of modern C++ features and third-party dependencies (e.g. the use of high-level frameworks like QT or boost is justified only if it brings real benefits to the project and not to skip programming). know how to manage device contexts, choose / set pixel formats / fbconfigs, destroy / create rendering contexts, set the default frame buffer or FBO as rendering target, use graphics commands to render frames with multiple contexts running on multiple threads, without performance issues. A good knowledge of Desktop OpenGL specifications (from 1.0 to 4.5), deprecation and compatibility mode is required (e.g. the candidate must know that some OpenGL functions can be taken with wgl / glXGetProcAddress instead of using blindly a loading library like glew). If you have concerns or questions, do not hesitate to contact me. Regards. This entry was posted in Graphics, News, OpenGL, Programming on September 13, 2016 by admin. Develop in C# for mobile with Xamarin, now it’s free! Recently Microsoft decided to include Xamarin into Visual Studio, also into the free version. This means that from now you can use the C# language with .NET / Monodevelop framework to develop crossplatform applications with the support not only for Windows, Linux and MacOSX, but also for Android and iOS! Before this news, you had to pay for Xamarin, but now it's free (with certain conditions, visit xamarin.com). If you didn't want to pay for it, the only way you had to support mobile devices was to rely on existing frameworks, like Qt, Unity and Oxygine, or produce extra code with Android SDK and xCode. The problem is that all these solutions use different kind of languages. Qt and Oxigine are C++, Unity is a 3D engine that uses C# scripts, Android SDK and xCode for iOS are mostly Java oriented. If you wanted to support multiple platforms before, you had to change your habits to adopt a solution (even if you didn't like it) to cover an high range of machines. Now you can continue to develop your project with Visual Studio in C# and then decide to convert part of your project to make a mobile app using the same framework, with a little bit of effort for the platform specific features. If you want to develop an app in short time and share it to the world, Xamarin will make your life easier. This entry was posted in Frameworks, News, Programming on April 9, 2016 by admin. The horizontal hardware scrolling needs a double buffer in order to get an accuracy of 4 pixels. The demo runs on original Amstrad CPC 464 speed emulated by Caprice. It is pretty fast and can loop horizontally with a limit of 512 tiles meanwhile the level 1-1 takes only 212 tiles. I readjusted the original smb graphics to fit a 256x192 Mode 1 with 4 colors. I really like the effect of the gray scale map mixed with the blue sky, like in the original NES game. This demo has been programmed with SDCC in C and Z80 assembly. This entry was posted in Demos, Programming, Retro Systems, Videos, Work in progress and tagged Demos on October 11, 2015 by admin. The framework evolved into different directions. I changed the name to TM Framework (TextureMind Framework) that is a useful collection of classes to develop my own programs in C++ or C# when the projects will be so complicated to require it. Being a framework slave in never a good thing for the developers, I saw developers becoming incapable of doing the simplest things in C starting from scratch, when they were anchored on Qt, Boost, Unity, Unreal Engine 4 or their own frameworks. I saw also good programmers becoming incapable of doing good plain programming (not even a pacman game) without projecting frameworks that would require years to be finished, so I don't want to feed this trend. This entry was posted in Frameworks, Programming and tagged Development Kits on August 2, 2015 by admin. I tried to implement the explicit multisample antialiasing and I got good results, but it's slow on a GeForce 9600GT. A scene of 110 fps became 45 fps with only four samples, just to point out the slow down. While I was jumping to the ceiling for the amazing image quality of a REAL antialiasing with deferred shading (not the fake crap called FXAA) I fell down to the floor after I seen the fps, what a shame. Anyway, I decided to change from a deferred shading to a deferred lighting model just to implement a good trick in order to use the classic multisample (that in my card can do pretty well also with 16 samples!) reading from the light accumulation buffer in the final step and writing the geometry to the screen with the antialiasing enabled. The result is a little weird, but you can fix it by using that crap fxaa on the light accumulation buffer which is smoother than the other image components. For example, I can use: a mipmapping or anisotropic filtering to eliminate the texture map aliasing, a FXAA to eliminate the light accumulation buffer aliasing and finally a MSAA to eliminate the geometry aliasing. This entry was posted in Frameworks, Graphics, Programming on December 20, 2011 by admin. TSREditor is a huge editor in the style of Blender3D projected to create or edit the resources like textures, 3d models, sound and levels for games and other stuff. In spite of the large amount of work needed to reach a decent version of this software, I decided that it will be free as a part of my Unrelated Framework. In this moment I'm far from a decent beta version to release, but I can show you two nice screenshots of the program at work. This entry was posted in Applications, Graphics, Programming on December 14, 2011 by admin. This is the first "work in progress" video of my 3d engine called Unrelated Engine. 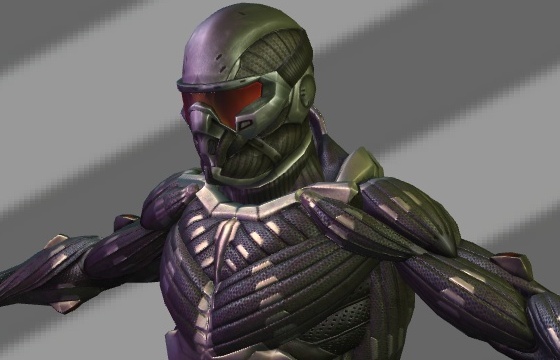 Some complex animated models come from Doom 3. They were converted to a maximum of 4 weights per vertex as well as the identical vertices have been cancelled to improve the speed. 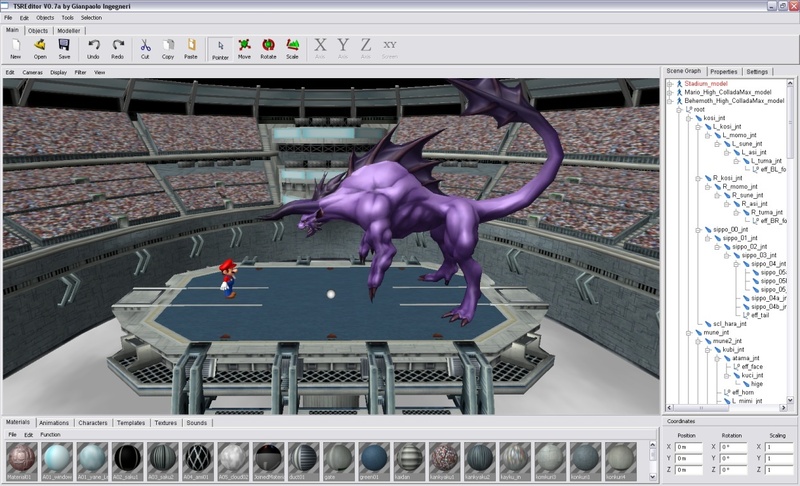 The shader language was used to obtain a large amount of skinned meshes and complex materials with a reasonable speed. The 3d models are from doom3 and from http://www.models-resource.com/, they were used only to test my engine and to make this video. The rights of these 3d models and the music are reserved by their respective authors. This entry was posted in Frameworks, Graphics, Programming, Videos on July 27, 2011 by admin. The 3d models are from http://www.models-resource.com/, they were used only to test my engine and to make this video. The rights of these 3d models and the music are reserved by their respective authors. This entry was posted in Frameworks, Graphics, Programming, Videos on June 23, 2011 by admin.